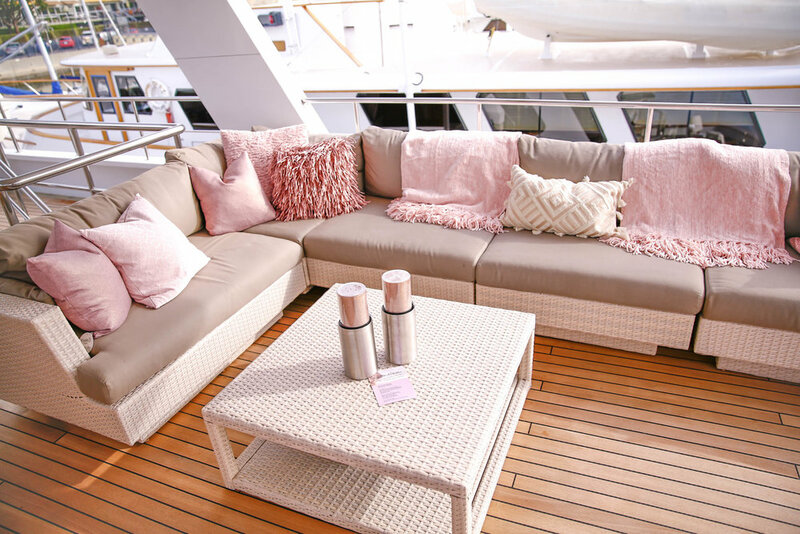 Let's play a game of Q & A.
Q: What do you get when bring six of your favorite influencer friends, our 2018 collection, and every rosé colored item you own on a dreamy $20 million yacht en route to Malibu? A: A lavish bikini wonderland on water! With a free spirited essence and a desire for the luxe life, isabella rose has an elevated aesthetic that calls out to the dreamer in all of us. 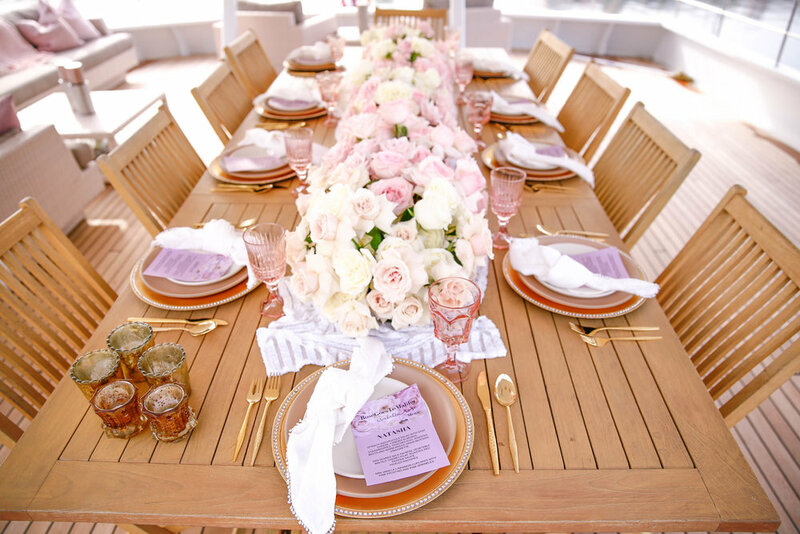 To bring her dreams come true, we took the second leg of our #rosegoes campaign to Paradise Cove, Malibu with plenty of roses and rosé in tow. See below to vicariously live through the experience.